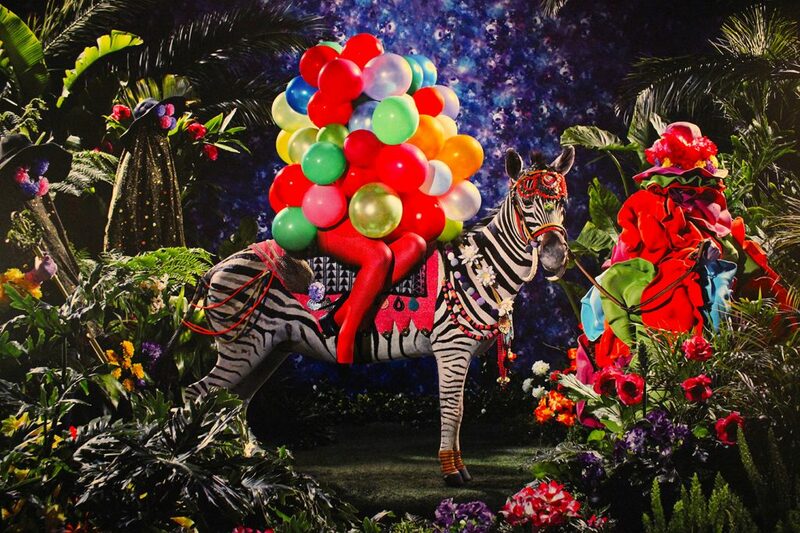 South African artist Athi-Patra Ruga creates flashy, dazzling spectacles that explore identity politics through engaging and colorful fashion-based performance art. Athi-Patra Ruga blends tropes and imagery from traditional South African tribal practice with campy aesthetics of contemporary drag culture, raising questions about self-definition in an increasingly networked and global community. This artist has gained a great deal of visibility and momentum over the last few years, lending to excitement surrounding his impending visit to several metro Detroit venues for three engagements sponsored by University of Michigan’s Penny Stamps Speaker Series. Nickle and Hamilton had a conversation on ways to potentially collaborate and discovered they had common a desire to bring Athi-Patra Ruga to the States. The artist will be performing a collaborative piece titled Over the Rainbow at the 2016 Performa Gala in New York in early November, and coming to Michigan for a series of speaking engagements directly afterwards.